Crow is a lonely bird, but very ingenious. He has a plan. First, Crow gathers a couple of sticks and pops a crab apple on top. Then adding leaves for feathers, Crow creates a friend. No longer is Crow lonely, until . . . the wind blows. Crow’s new bird friend is gone. Crow is once more lonely and unhappy, but he is resourceful. He has a plan. Snow has fallen. Crow piles snow together, patting it into a nice shape. He uses seeds for eyes and sticks for wings. Crow makes a new friend, banishing his loneliness once more. Then the sun shines. Crow’s new friend melts away. He is lonely once more. Up in a tree a bird sits. She calls down to Crow and Crow joins the bird. He has made a new friend. Together, they have a plan. Crow Made a Friend is delightful with art that perfectly matches not only the text but also the quiet messages of the book. Aimed at early readers, Crow Made a Friend highlights creativity, resourcefulness, and the lasting importance of friendship and family. The ink and watercolor illustrations are bright and beautiful; inventive and inspired, with expressive emotions seen through Crow. The bright blue, red-winged, green-bellied, and yellow-tailed Crow stands out against the white background. Young children learn to read through the use of simple, familiar words reinforced with repetitive text. The I Like to Read® Series, designed for emergent readers and evaluated before being assigned a reading level from B to G,* aligns with Common Core State Standards in reading for foundational skills and literature. The I Like to Read® Series, picture books for emerging readers, are created by an extensive list of invited author/illustrators. The I Like to Read® Series and especially Crow Made a Friend are lovely additions to the early reader genre with loads of materials for both teachers and students. 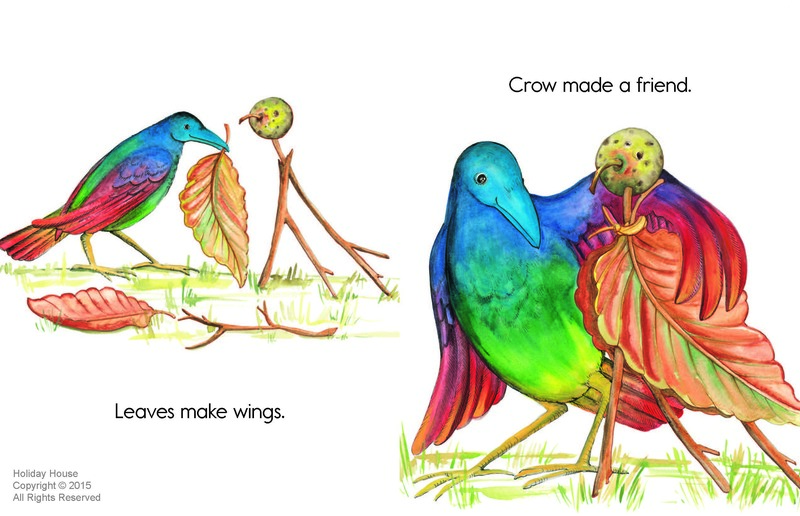 Teachers and homeschooling parents will find Crow Made a Friend a brilliant book that will help instill a love of reading and a joy for books, which can last a lifetime. 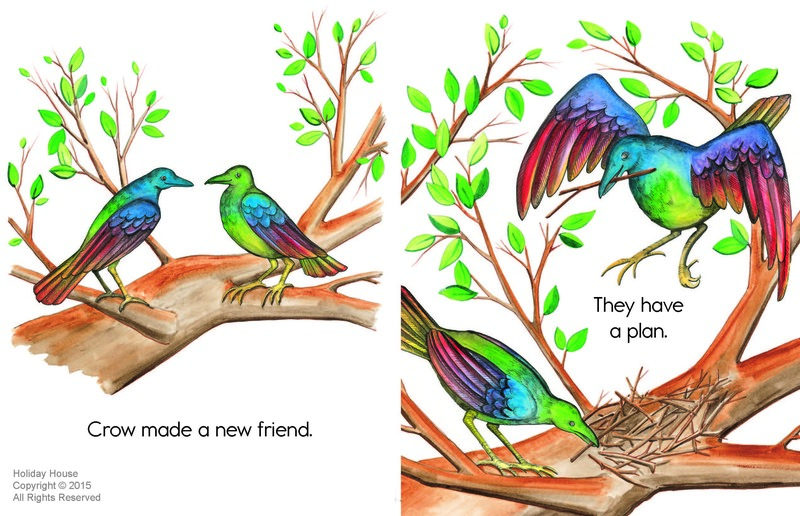 Crow Made a Friend is Margaret Peot’s debut children’s book. CROW MADE A FRIEND (I LIKE to READ® SERIES). Text and Illustrations copyright © 2015 by Margaret Peot. Reproduce by permission of the publisher, Holiday House, New York, NY. Purchase Crow Made a Friend at Amazon —Book Depository—IndieBound Books—Holiday House. 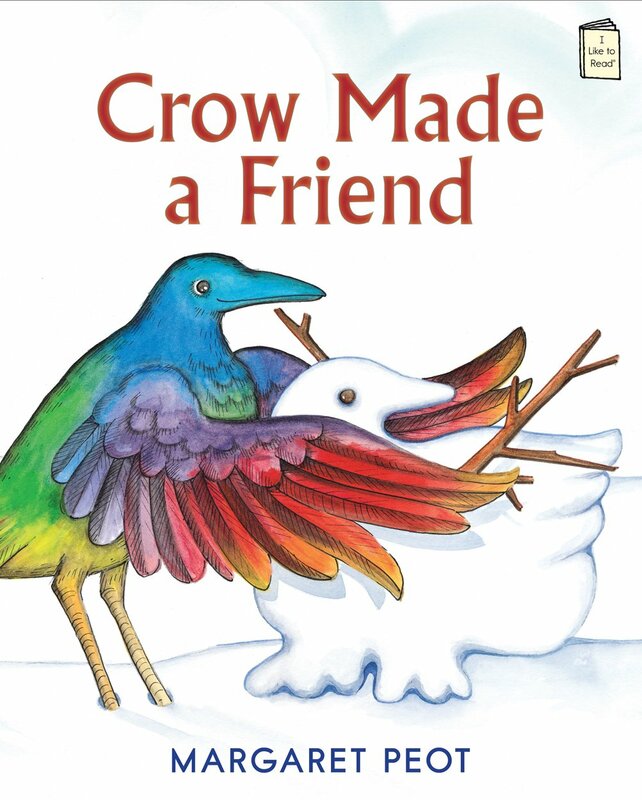 Learn More about Crow Made a Friend HERE. ***TLC Book Tours is Giving Away a Copy of Crow Made a Friend to one random reader. To Enter simply leave a comment. Also, please “Like” Kid Lit Reviews at Facebook. Ends Monday 11/09/2015. Complete Book Tour Schedule is HERE. . . —and many, many more! I Like to Read® Series Awards List is HERE. CROW MADE A FRIEND. Text and illustrations © 2015 by Margaret Peot. Used by permission of Holiday House. The, I Like to Read, series is super cool, and this book looks great. 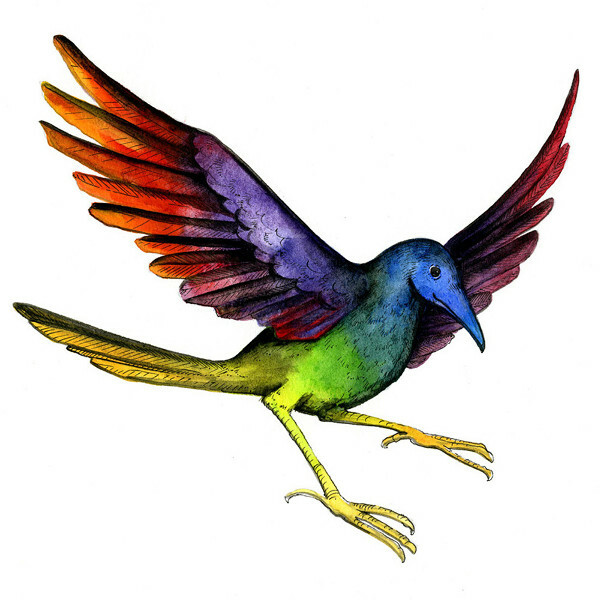 I love the colorful illustrations that will make the young reader want to linger on the pages. The images are great. The illustrators and Capstone did a wonderful job on this series. Looks like a sweet story. And the most colorful crow I have ever seen. Crow reminds me of Mom. Sometimes she threatens to save up all my furs from around the house and build a new dog. This is NOT a good plan! Cupcake, I don’t know any reason why she would want to replace you. Maybe she is thinking of a playmate? If not, you might want to use your fantastic smelling and track down those furs. Hopefully you won’t find any around the house. Does Mom have an office?! Good luck, Cupcake! The table is Mom’s office. She says when she make a new dog out of furs she will throw me in the garbage. Gah! She’s jesting. Well, let’s hope she’s jesting. I’ll get you the number of your local ASPCA just in case. I also know a good dog rescue, right next to my house. But I still think she is jesting. You’re not that bad a dog are you? Stay out of trouble—and the garbage. What lovely illustrations and a great story told in simple words. 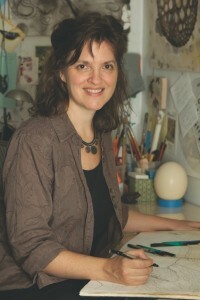 Authors writing for adults could learn so, so much from children’s authors like this one! And this is a genuine comment, not one left to bag the free book!